Home » Merrell vs Keen: Who Makes the Best Hiking Shoes & Sandals? If you’re in the market for some of the best hiking shoes and boots you’ll want to consider Merrell vs Keen footwear. Both make excellent footwear, but there are some key differences that you’ll want to know before buying. Let me start off by saying both brands make great footwear for hiking and outdoor adventures. They are lightweight, with great waterproofing while still retaining some breathability. But there are also many differences between the two technologies used by these two companies. Their waterproofing techniques, footbed design, and even their odor-resistant materials are different enough to be worth taking a look at. Even the prices of the shoes are worth noting, especially if you’re buying your hiking shoes, boots, or sandals on a budget. To learn what exactly sets these two brands apart, check out our comparison sections below. We’ve also added some reviews pitting Merrell vs Keen sandals, hiking shoes and hiking boots, so you can see which models are the best each brand has to offer. The Bottom Line: What Are the Best Hiking Shoes For You? Merrell was founded by Randy Merrell in 1981. He had originally used his skills to create handmade boots, but teamed up with Clark Matis and John Schweizor, two former ski company executives. Together, they began designing affordable, yet high performance, hiking boots. Their boots combined the Italian boot making process to the technology of American cowboy boots for unique long-lasting footwear that stands out from the crowd. Since the beginning, they have maintained their four core values, which are Comfort, Design, Durability, and Versatility. They ensure every piece includes all four, so you can enjoy the outdoors in any way you desire. The first pair of Keen shoes was created in 2003, featuring a thick, protective black toe bumper that became a signature part of their footwear. They found a market in outdoor and water activities, which lead them to create other innovative products to match the quality and appeal of their shoes. They also proved they are more than just a shoe company a year later when they used their $1 million advertising budget to help those in need after the Asian tsunami, which lead to their Hybrid Care program. In 2006, they moved their headquarters to Portland, Oregon, and within a few years had added safety work footwear to their Keen hiking boots, shoes, and sandals. Today, they are still one of the top footwear companies around. When looking into buying Keen vs Merrell hiking shoes or other types of footwear, there are a few things you should look into. Each brand has their own designs when it comes to waterproofing, outsoles, and other necessary technologies. Check out our comparisons below to find out which one is best in each area. One important feature when comparing Keen vs Merrell hiking shoes and other footwear is the type of waterproofing they have. Merrell’s waterproof technology is the M Select Dry. This uses a lightweight layer of waterproof material. This layer blocks out the moisture and the wind, keeping your feet warm and dry in every season. It is also breathable, releasing any inner moisture your foot produces for increased comfort and less sweating. Keen waterproof shoes use their Keen.Dry technology, which uses a waterproof membrane that blocks out moisture on the outside of the shoe. But it is also breathable, releasing vapor from inside the shoe to keep your feet nice and dry. Outsoles can wear out quickly if they are not made well. That’s why Merrell created their Vibram outsoles. These are made of high-performance rubber which holds up well against all types of rugged terrain. They are durable, giving you the stability you need on uneven surfaces, and even resist slipping on damp surfaces. For those who love winter sports, there is also the Arctic Grip, which gives you the traction you need on wet ice and snow. This feature even includes thermochromatic lugs that change color when there is ice under your feet. Keen also uses high quality rubber for its All-Terrain Traction outsoles. But this material alone doesn’t give you the grip you need. That’s why Keen has added multi-directional lugs that let you grip almost any surface imaginable in the outside world. From pavement to loose gravel, you’ll have no trouble keeping your feet firmly planted. The Merrell Kinetic Fit Base uses insoles that are contoured to form perfectly to your foot. They are flexible, with an intuitive support that connects you to the ground beneath you while protecting you from it at the same time. Other features of this footbed are the absolute arch coverage and the advanced heel lock. These insoles are made of recycled EVA materials with a memory foam liner, and use organic odor control to keep your feet smelling as fresh as possible. Merrell also has the M Select Fit.Eco+ footbed, which uses blended EVA for extra support. This advanced footbed also offers zonal arch and heel reinforcement. There is an ergonomic and shock absorbing heel cup, plus their unique air cushioning. Together, these features give your feet the stability they need while still keeping them completely comfortable. The Keen Metatomical footbed includes an insole that has been given an anatomical design. This gives you better support. These insoles are also built around the general shape of your foot, but with special emphasis placed on your first metatarsal joint, which is otherwise known as the big toe. This footbed forms to your feet, giving you the support you need in the most important areas. Both Merrell and Keen have added some extras in to keep your shoes smelling as fresh as possible. Merrell uses their M Select Fresh technology, which uses antimicrobial agents infused right into the lining and materials of the shoe. These agents break down any odor-causing microbes that try to build a home in your shoe, disrupting their reproduction so they can’t take hold. Keen’s Cleansport NXT works in a similar way, by bonding specific microbes to the surfaces of the shoe fabric. The microbes are dormant in those fibers until bacteria and odor-causing microbes come in contact with them. Then the dormant microbes are activated, reducing the sweat-causing odors until they broken down. Then the microbes in the fabric go back into their dormant phase until they are needed again. Insulation is important, especially if you like to go out in colder weather. Merrell has created their M Select Warm technology, which uses a lightweight, soft material that is thinner than most other insulations. This thinness helps reduce bulk in your shoes and clothing while still keeping you extra warm. Instead of using bulky layers to warm you, this insulation uses small reflective areas in the liner to reflect your body heat back to you, using your own heat to keep you warm. The Keen.Warm technology incorporates charcoal bamboo into their insulation, which keeps these layers light while adding in some anti-microbial extras to keep the odor down. This insulation comes in varying thicknesses as well, depending on what temperature the Keen hiking shoes or boots are rated for. Every company these days needs to add some environmentally safe practices to their manufacturing process, but who does it better in the Keen vs Merrell debate? Merrell is committed to using the most up-to-date sustainability practices around. This includes recycling and updating their equipment to keep up with the newest energy efficiency guidelines set. They also use renewable energy as much as possible. Their packaging for their products is all made of recycled materials, and many of their newest products also incorporate recycled fabrics and other materials. When you purchase a pair of Merrell shoes with Vibram soles you also get the advantage of resoling them after the soles are worn through. This saves you from buying pair new shoes as the uppers are incredibly well built and last much longer than the soles. Merrell even has some vegan shoe and clothing options available. Keen has similar goals, doing their best to exceed the highest levels of environmental standards that have been set. This includes transparency in all of their business practices and innovative manufacturing products that meet environmental standards. They also protect the places that the work in, as well as those they play in, giving back to local causes that help maintain the planet. When it comes to style, there are some things worth noting when comparing Merrell vs Keen. For the shoes, Merrell seems to put a bit more effort into the way the shoe looks, while Keen’s shoes have a bit more of a utilitarian look to them. Merrell also has more colors to offer in each shoe, while most of Keen’s options only have one or two to pick from. With the sandals, the opposite is true. Though Merrell’s sandals still look a bit stylish for a hiking shoe, they offer fewer colors in each model. Keen not only has more color options, but the style of their sandals vary, especially when you check out the UNEEK sandals. When it comes to the price of their footwear, both Merrell and Keen have similar prices for their hiking shoes and boots. 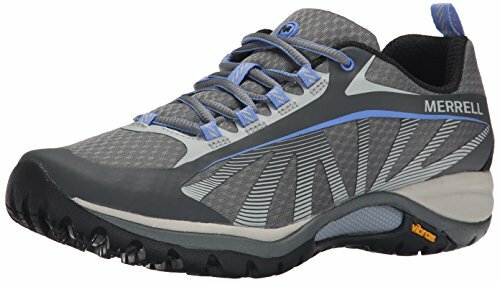 Those that we reviewed range from about $140-210 for Merrell, depending on the shoe and whether it was low or mid-rise. Keen’s shoes were similar in price, with $150 for their lowest price and $230 for their highest. So, though Keen seems to cost a bit more, it all depends on which product you’re looking to buy. For the sandals, Keen’s prices were a bit lower than the Merrell sandals. For instance, the Merrell Terran, which is the women’s sandal, costs about $105, while the Keen women’s Whisper sandals are only $90. One of the most important features of any product is the warranty, so let’s compare Merrell vs Keen in this category. Merrell has warranties that are different for every product. Their shoes and boots all have a 1-year warranty, while the sandals only have a 3-month warranty. Their apparel and bags have a limited lifetime warranty and socks are covered for 3 years. These varying warranties cover defective materials and workmanship only. Keen’s warranty is a bit more basic, with all products having the same 1-year policy from the date of purchase. This warranty covers the same defective material or workmanship as the Merrell warranty. Now that we’ve discussed the best features of each brand, it’s time for our Keen vs Merrell hiking shoes and sandals comparisons. We’ve chosen the best each brand has to offer in these categories to review. If you’re looking for a pair of comfortable hiking shoes that will keep you dry and comfortable, you can’t go wrong with the Moab 2 from Merrell. They are made of performance suede leather material with mesh on the upper areas for ventilation. There is also a rubber toe cap for a bit of protection. The outsole uses Vibram TC5+, with 5mm lugs for excellent traction. To keep your feet nice and dry in damp conditions, there is the M Select Dry waterproofing, which is also breathable to let moisture from sweaty feet out. Inside is a breathable mesh lining to keep your feet cool. The footbed uses M Select Fit.Eco+ blended EVA for support and comfort, with zonal arch and heel support, plus has a molded nylon arch shank. For even more stability, Merrell has even added an EVA midsole and some air cushioning in the heel. With all this inside, your feet won’t feel a thing, even after walking for hours. Other models in the Moab line worth looking at are the lower version of the Moab 2 Waterproof, the Moab 2 Ventilator, the Moab FST 2 Mid Gore-Tex, and the Moab 2 Gore-Tex. The Chameleon 7 is another one of the top Merrell hiking shoes for anyone who loves the outdoors. These durable shoes use a combination of suede and mesh on the upper part of the shoe. There is a traditional lace closure with bellows on the tongue to keep dirt and moisture out. On the toe is a rubber cap to keep those digits protected from hard items on the ground. On the bottom is a Vibram TC5+ outsole with lugs that are 3mm deep for a bit of extra traction on all surfaces. A molded TPU heel counter adds stability as well. The insole is Merrell’s Kinetic Fit Base, which is removable and flexible for the right fit and comfort. Between these layers is the EVA midsole, give you even more stability and keeping your feet as comfortable as possible, even on hard surfaces. Other features worth mentioning are the breathable mesh lining, the air cushion in the heel, and the Lightweight Flexplate that keeps your feet from twisting in an unnatural way, preventing strains and pain. Also in the Chameleon 7 line are the Chameleon 7 Waterproof in both regular and mid-rise, the Chameleon 7 Limit and the Chameleon 7 Storm Gore-Tex. The Merrell All Out Blaze 2 are great lightweight hiking shoes for all types of activities. They are made of durable materials, with full grain leather and mesh on the upper part and Vibram outersoles on the bottom. The lug depth is 4.5mm deep, with alternating patterns to give you great traction. The toe cap is protective die cut. Inside these light hiking shoes is the M Select Fresh technology, which uses those antimicrobial agents to eliminate any shoe odor before it starts to take hold. The breathable mesh lining helps release the moisture that would cause such odors, as well as keeping your feet cool on a warm day. The Fit.Eco blended EVA footbed also adds to the odor prevention, plus is contoured to form perfectly to your feet. These shoes also have a compression molded EVA midsole, which adds to the comfort and stability. There are Merrell Air Cushion Viz inside the heel, which used high rebound foam pads to absorb any shock. Other great features are the molded nylon arch shank, the tongue bellows, and the stylish look and colors of these shoes. There are both low and mid-rise versions of the All Out Blaze 2, plus an All Out Blaze 2 Mid Waterproof and an All Out Blaze Aero Sport. The best Merrell hiking shoes can have a simple design and still look fantastic on the trail. These ones are lightweight, with mesh and 3D print mesh on the upper material. They have a breathable mesh lining for ventilation and the Merrell M Select Fit Eco footbed to keep smelly odors from ruining your shoes. There is a molded nylon arch shank for extra support and a comfortable Merrell air cushion in the heel, which will absorb the shock on hard surfaces and add some stability at the same time. On the bottom are the Merrell Vibram rubber outsoles with a heavy-duty lug pattern to add traction, stability, and durability to your shoes. The bellows tongue keeps out dust, dirt, and moisture, for cleaner, drier feet at the end of the day. Though these women’s hiking shoes don’t have all the bells and whistles, they are still great shoes for any hiker. But if you want shoes with a bit more to offer in the way of features, check out the Siren Edge Q2 Waterproof, the Siren Sport Q2 Waterproof, which comes in both low or mid-rise, or the Siren Traveller versions in this line. This Keen hiking shoe is durable enough to handle every day wear, even in the most rugged conditions. It is made of nubuck leather with the Keen.Dry waterproof membrane incorporated in, which keeps moisture from soaking your foot while still staying breathable for less sweating. There is also breathable mesh on the upper area for even more ventilation. The outsole is dual compound rubber with thick lugs in varying patterns for extra traction on all surface types. There is a PU midsole and a metatomical dual density EVA footbed, which is removable when needed. The lining is hydrophobic mesh, which wicks away moisture for drier feet. Other great features on these Keen waterproof hiking shoes are the contoured heel lock, the TPU stability shank, and the abundance of sizes to fit any foot. These come in both low shoes and mid hiking boots varieties, plus there is a Durand Polar Waterproof Hiking Boot for winter activities. They all come in both men’s and women’s sizes as well for added convenience. The Keen Targhee III is a waterproof shoe that comes in a low shoe and a mid hiking boot and is available for both men and women. These use the Keen.Dry membrane to block out moisture from the outside while the breathability lets inside dampness escape. The material on the upper shoe is leather with mesh areas for ventilation. The outsole on the bottom of the shoe is the Keen All-Terrain rubber, which has a high-traction grip that holds onto almost any surface you put your feet on. The midsole on this shoe is dual-density, compression molded EVA for extra cushion and stability. Inside the shoe is a metatomical dual-density EVA footbed, which can be removed for cleaning or when it is time to replace it. There is also a breathable mesh lining inside that helps keep your feet nice and cool, even in warmer weather. The Cleansport NXT odor-control also helps keep foot odor to a minimum. Other shoes in this line worth taking a look at are the Targhee Vent, which comes in low only, and the Targhee EXP, which has a low and a mid-rise version. The Voyageur doesn’t have a lot of other shoes in its line. There are low and mid-rise versions, but that’s it for these hiking shoes for women and men. But they don’t need a lot of other versions when they are a quality hiking shoes with great features. First is the upper material, which is made of water-resistant leather with mesh pieces sewn in for ventilation. There is a dual-density EVA footbed inside that can be removed and changed as needed. The midsole is also dual-density EVA, which has been compression molded to form to your foot for extra cushioning and support. The outsole is non-marking rubber with 4mm multi-directional lugs to increase your traction on unstable surfaces. There are a contoured heel lock and an ESS shank with torsion stability as well to keep your feet firmly planted with no slipping or twisting, preventing injuries during your travels. The fabric inside is also moisture wicking to keep your feet dry, even if you start to sweat. Now it’s time to check out Merrell vs Keen sandals, to see how each brand puts their models together. This type of footwear is becoming more popular for more than just beach-wear, so need some of the same features as the best hiking shoes to be able to replace them on the trail. The All Out Blaze line has only one hiking sandal, which is the Sieve. It comes in both men’s and women’s sizes, both of which have the same features that make them a great sandal for performance as well as speed on the trail. Plus, because they have an open design, they dry quickly if going through some streams is part of your trip. For the material on the upper part of these Merrell sandals, there is a waxy leather combined with fabric, both of which are waterproof to help repel moisture in damp weather or when stepping in puddles. The collar is Lycra neoprene stretch material to make it easier to put the sandals on or take them off at the end of the day. Bungee laces let you secure the sandal snugly to your foot. The outsole is Merrell’s TCS+ Vibram with 3mm lugs to give you the proper traction on the trail. A UniFly midsole protects you from any type of rugged terrain, while still keeping you connected to the trail beneath your feet. To fight odors, these lightweight hiking sandals also feature the M Select Fresh antimicrobial agents. For these sandals, the Terran are the women’s line and the Terrant are the men’s line, so we’ll review them separately. The Terran Ari Lattice is the best hiking sandal for women. Plus for style you can choose from 6 different color options. It has PU coated leather and textile upper material, which is durable enough to last through a bit of rough treatment. There is a hook and loop clasp closure that makes it easy to adjust them to your specific size. The footbed is made of microfiber wrapped contoured EVA. The M Select Grip outsole gives you the traction you need on all surfaces. Merrell has also added an air cushion in the heel to absorb any shock while adding in some stability on uneven terrain. For the men, there is the Terrant Strap, which uses full grain leather for the upper sandal material with a breathable mesh lining for some ventilation. These sandals also use the hook and loop closure system and add in the M Select Fresh antimicrobial agents to keep foot odor to a minimum. The footbed is 4mm of memory foam with a mesh lining and contouring to form to your foot perfectly. The M Select Grip outsole has 3.5mm lugs to give you the right traction when you need it. The Terran Convertible is also worth checking out, since it has similar features, like the M Select Grip outsoles, hook and loop closure, and comfortable footbed. The Newport H2 is one of the best Keen sandals for hiking. They have polyester upper material that is also washable for those extra muddy days on the trail. The outsole is non-marking rubber with multidirectional lugs and razor siping. Together, these three features give you amazing traction on any surface you come across, wet or dry. The outsole even comes up over the toes to protect them from rocks or other hard surfaces you may encounter. The midsole is compression molded EVA. A metatomical footbed supports your arches and cradles your foot while you walk. Other great features of these hiking sandals are the TPU stability shank, the bungee laces, and the secure lace capture system to keep them from coming open while you walk. As well as the Newport H2 sandals, there are also a few others in the line worth mentioning, including the regular Newport Sandals with leather upper, the Keen Newport Hydro or the Keen Newport Eco. The Hydro and the Eco both come in men’s and women’s sizes. The Uneek isn’t just a name, these sandals look as unique as possible with their two-cord construction on both genders of the sandal. They use polyester braided cord for the upper material, with a nylon core that increases the durability of the sandal. There is also a secure fit lace capture system to keep those laces tight while you trek along your favorite trails. There are non-marking rubber outsoles on the bottom with razor siping to help improve traction on most surfaces. A lightweight PU midsole gives you extra cushion and stability in your sandal. The metatomical footbed supports your arches while cradling your foot’s natural contours, plus has a microfiber cover for a soft layer against your skin. This microfiber is also on the heel back as well, to keep this area from blistering. The Cleansport NXT is also included to keep those odors from ruining your sandals. Though they aren’t machine washable, these sandals are easy to clean with a bit of soap and water. The Keen Whisper is a sandal just for the ladies, with its stylish appeal and wide range of colors. But this isn’t a sandal just for showing off, it has the features needed for every woman to enjoy the great outdoors as she sees fit. First is the polyester webbing on the upper part of the shoe, which includes bungee laces and a secure fit capture system to keep them firmly tied throughout the day. The hydrophobic mesh lining wicks away moisture for a drier sandal all day long. The Cleansport NXT takes care of those microbes that could otherwise destroy a shoe with a nasty stink. There is a compression molded EVA midsole, with a metatomical EVA footbed above, which work together to cushion your feet while giving them the support needed for all-day comfort. On the bottom of the sandal are non-marking rubber outsoles with multi-directional lugs to help keep your feet firmly planted, no matter what terrain they are on. Though Merrell and Keen have similar technologies that work to provide you with the same comfort level and durability in their products, they aren’t identical in the way they make their hiking shoes and hiking sandals. You won’t regret purchasing either brand, but one did come out on top in each of the two categories we reviewed here. That company is Keen. Though their prices are a bit higher and they offer a bit less in the form of style and colors for their hiking shoes, the Keen Targhee III had almost everything needed for a great hiking shoe. It comes in both low and mid-rise options. It uses great technologies, like the Keen.Dry membrane for waterproofing and the Cleansport NXT for odor control. This hiking shoe also has thick Keen All-Terrain rubber for incredible traction, plus a quality footbed that can be removed when needed. It doesn’t have any insulation, but this shoe isn’t meant for winter wear, adding in mesh for ventilation instead. Keen also comes out on top in the sandal category with the Keen Newport H2. Again, it uses those waterproofing technologies for drier sandals. The outsole is thick with multidirectional lugs and razor siping for the most traction. Toe protection, a metatomical footbed and the compression molded EVA midsole all add to the comfort and stability of this sandal. While you’re at it, be sure to check out my detailed comparison on the best Merrell vs Salomon hiking shoes & boots and the best waterproof footwear.